The PrePOPsterous Gift Box is perfect for any gifting occasion throughout the year! 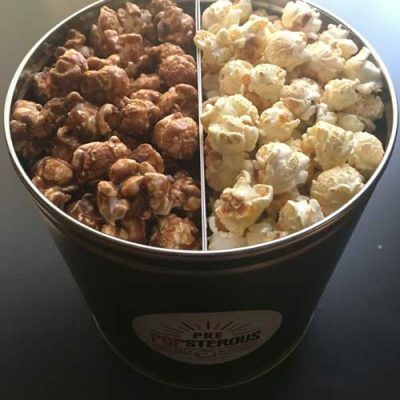 Give the box as is, or wrap it for a sweet surprise. Each gift box comes with a blank card so that you can pen your own personal gifting note. 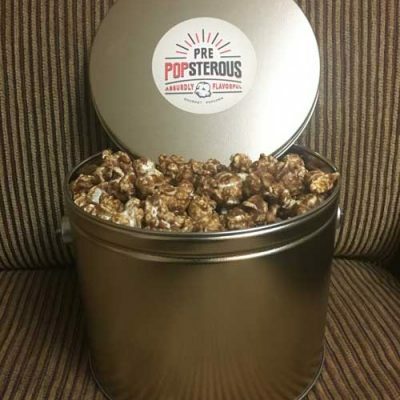 Great gifting occasions: Birthdays, Boss’ Day, Administrative Professionals Day, Mother’s Day, Father’s Day, Valentine’s Day…really, any day! 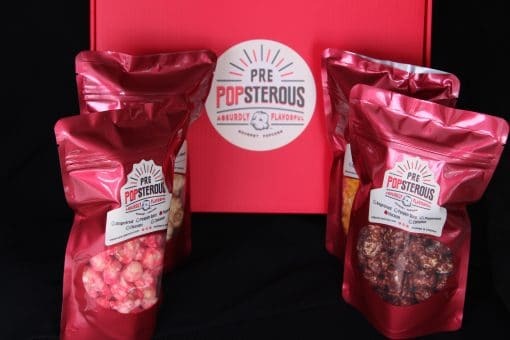 The PrePOPsterous Gift Box comes filled with our most popular flavors for the current season. 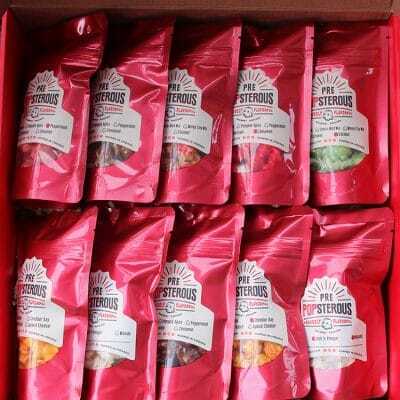 The gift box includes 1 small bag each of four different flavors. During the months of September – December, the box will include one or more of our holiday flavors: Absurdly Gingerbread, Absurdly Peppermint and Absurdly Pumpkin Spice. 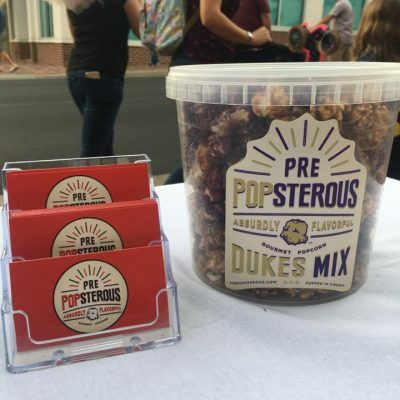 Each small bag contains approximately 2 cups of popcorn.